If your ballpark is underwritten by a corporation, you've probably noticed how hilariously tacked-on these sponsorships can feel. Let's face it: Dog food, orange juice, and insurance don't always mesh with baseball history. 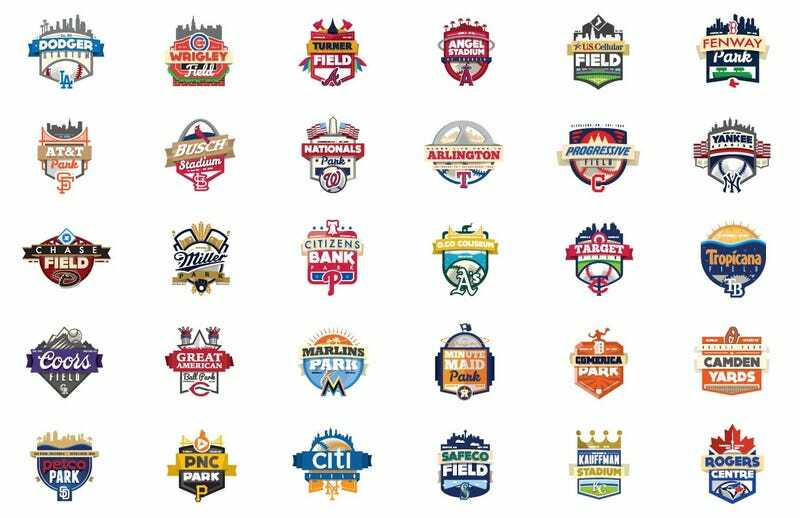 But these redesigned logos attempt to make the unholy union of ballparks and brands a little less jarring—and they do a damn good job. I think what a lot of the current stadium logos (if that specific ball park even has one) are missing that sort of nostalgic touch. Most of the logos that I have seen of them are very corporate and sponsor focused. I wanted to have more fun than that and really play into the city, the team, or the stadium itself. I wanted each one to be unique to its city.